The Kathleen v-neck knitted jumper is what we like to call an outfit-builder. Designed to be worn with anything in the Thought AW18 collection, it is crafted from luxe organic cotton and wool, with raglan sleeves. 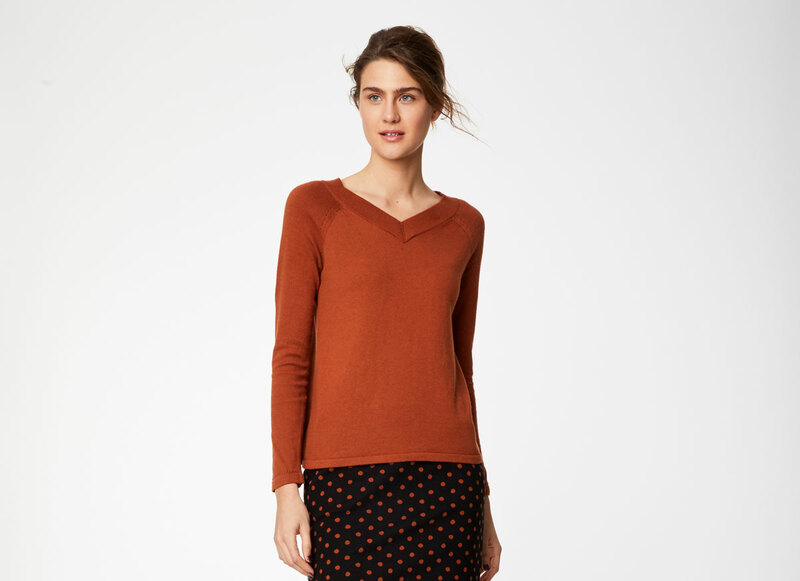 Pair this relaxed fitting knit with wide leg trousers for a simplistic daytime style.